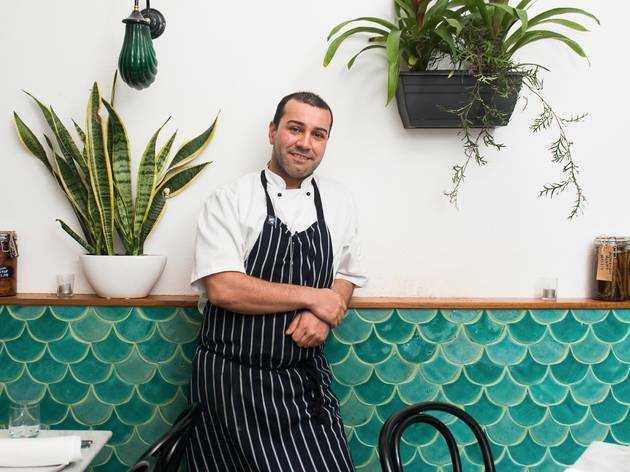 Coskun Uysal wants to make one thing clear: dips and kebabs are more Middle Eastern than Turkish. 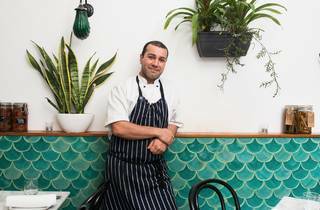 The Istanbul-born chef who moved here a few years ago and then opened Tulum, his mod-Turkish restaurant in Balaclava, reckons we ought to get our cultural bearings in order. Fair point. 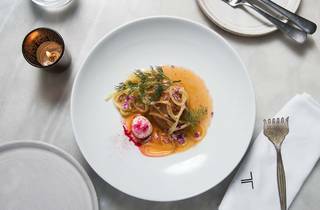 And Tulum is just the place to start reorienting ourselves – there are far worse fates than discovering the Turkish nation’s edible vitality from a smart narrow Carlisle Street shopfront made classy with wall sconces, greenery and Moorish tiles in a shade of turquoise you could bathe in. 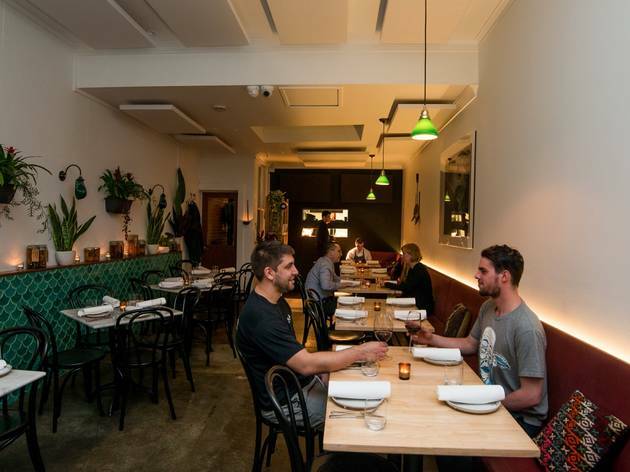 Turkish food may have been reduced to cliché in the Australian imagination, but this is a kitchen bringing the kind of modern Turkish food you’d find in Istanbul’s thumpingly vigorous restaurant scene to Balaclava with a program of pickling, preserving, fermenting and hanging (yoghurt, that is). It’s fresh, pretty, textured and refined. 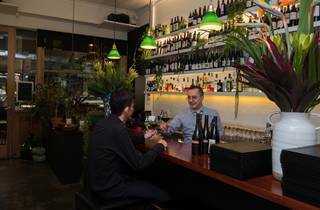 The kind of cuisine that smart chefs of all national stripes are happily doing: filtering the food of their homelands through a modern, borderless prism. 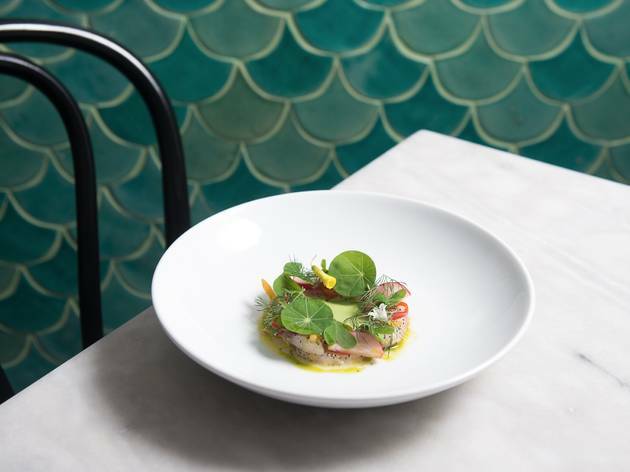 You certainly don’t have to have your Ottoman radar switched on to mark the raki-cured kingfish as a very good example of Melbourne’s favourite crudo, for instance. 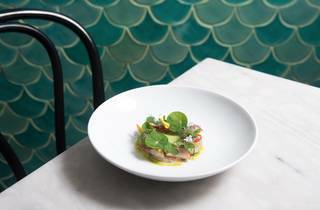 The firm, just-cured pieces of fish encircle a moat of vibrant green dill mayo; nasturtium leaves, dill fronds, red onion and a lick of preserved lemon (too often overbearing, here kept in check) make it one helluva garden party. Plenty of things might stick with you. 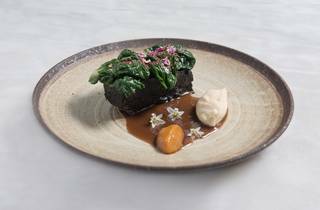 The lickable sauce with a beef short rib, warmly accented with cloves, cinnamon, star anise and orange skin – the rib itself is slow-cooked for almost 24 hours then glazed to order with a mixture of black olive and Turkish coffee. 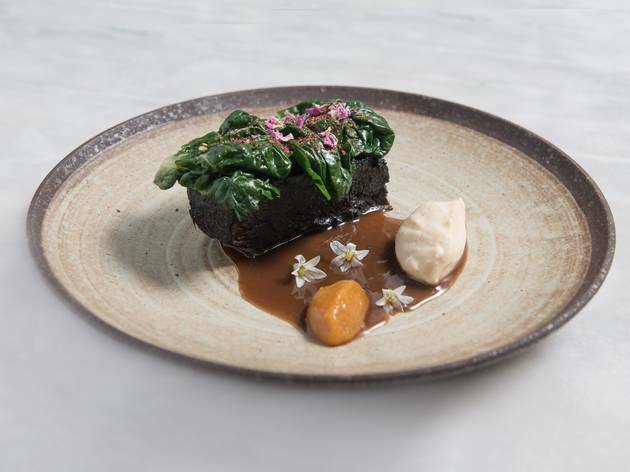 The pickled persimmon and sweet apricot puree with that rib is there to cut through all the richness. 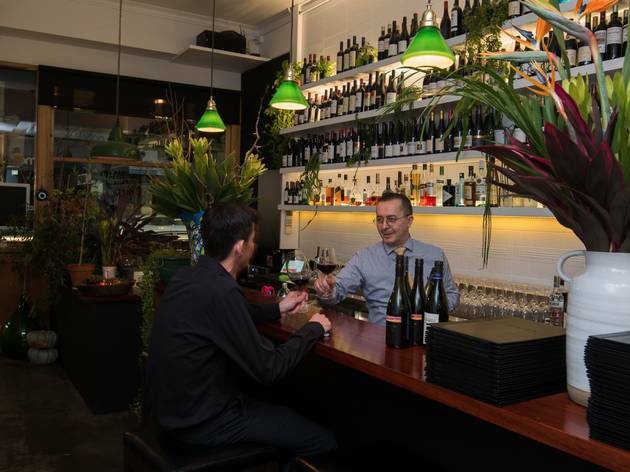 And then there are the dolma, a rare instance of recognising a menu heading here – an onion stuffed with spiced minced lamb and served in a moat of apple tea sauce with slivers of pickled apple for a sweetly savoury hit of edible fragrance. And those are just the in-between bits. 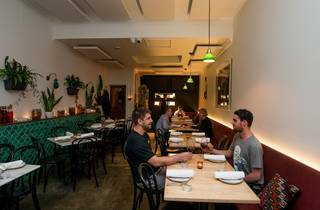 Uysal likes to change his menu around regularly but it's bookends, the cilbir and sutlac, have become the kind of signatures a chef takes off at their peril. 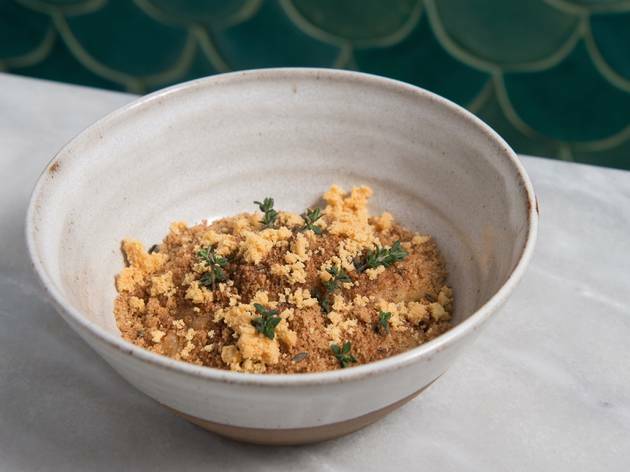 The former is an after-school snack Mama Uysal would whip up for her son – a poached egg, smoked yoghurt and sumac-spiked soft brown butter crumble. 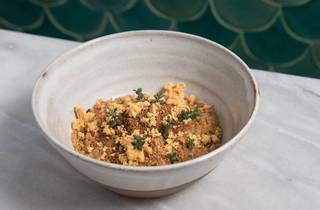 Whether she added crisp shards of chicken skin is unknown, but swiped through the sweet, viscous bowl they maketh the dish. 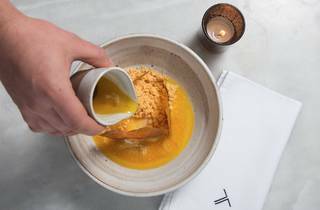 The latter is another dish of excessive comfort – a rice pudding made with thyme-infused milk and bedded down for the winter with Jerusalem artichoke and cinnamon. 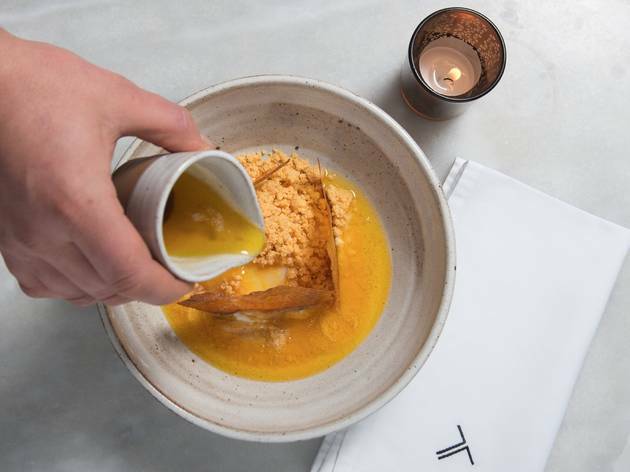 Served warm, because young Uysal couldn’t wait for it to cool down, its herbal note makes it something like a digestif in food form – on which note, if you’re thinking of booze, the list dabbles its toes in the Turkish program without going the full Ankara. 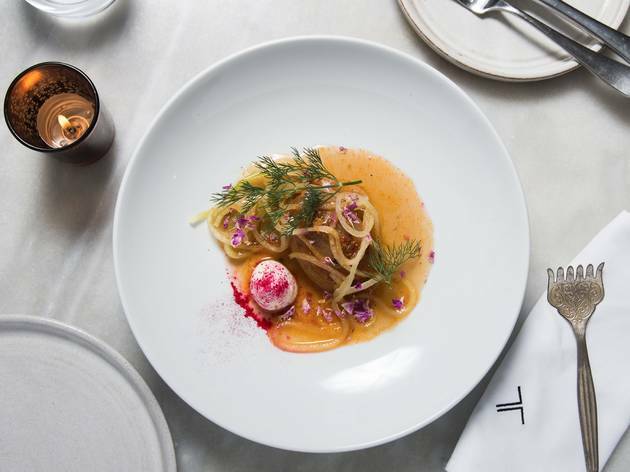 For the record, Uysul says it’s something he’s trying to cultivate – but for now, you can chalk Tulum up as another victory for the cheffing disapora, improving our understanding of the world one meal at a time.